A few months after Canonical and Lime Micro LimeSDR open source software defined radio aiming to be used as a development platform, but also as the base for low cost cellular or other wireless base stations, Facebook has announced their own open source wireless access platform with OpenCellular project whose goal is to lower the cost of Internet connectivity in remote areas where the infrastructure does not exist. 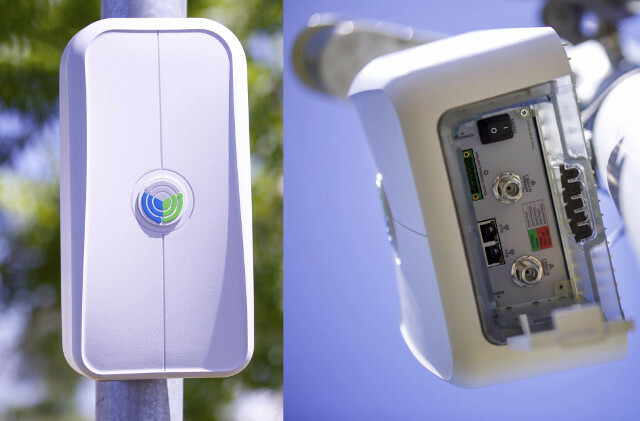 We designed OpenCellular as an open system so anyone — from telecom operators to researchers to entrepreneurs — can build and operate wireless networks in remote places. It’s about the size of a shoe box and can support up to 1,500 people from as far as 10 kilometers away. Along with our solar-powered aircraft Aquila and high-bandwidth laser beams, OpenCellular is the next step on our journey to provide better, more affordable connectivity to bring the world closer together. OpenCellular will supporting everything from 2G to LTE. The project will become open source over time, with hardware design, firmware and control software source code released publicly. Facebook will collaborate with Telecom Infra Project (TIP) members, whose aim is to “reimagine the traditional approach to building and deploying telecom network infrastructure”. 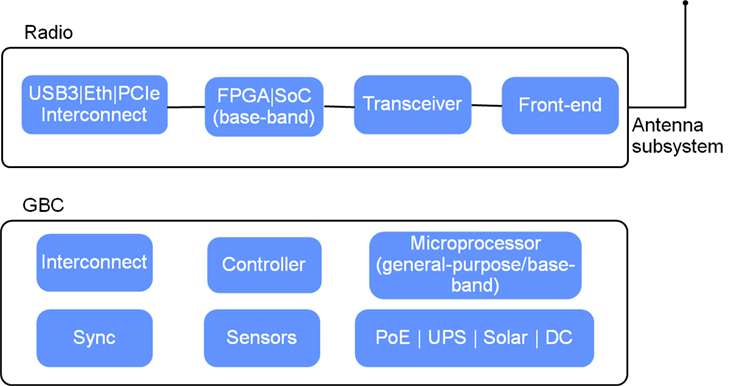 The current GBC system supports four power sources: PoE (power-over-ethernet), solar, DC, and external (lead acid) or internal (lithium ion) batteries, and also includes sensors to monitor temperature, voltage, current, etc.. Two versions of the radio system are available on based on either one SoC (fixed functionality), or one FPGA (software defined radio). The radio can be used a full network-in-a-box when connected to the GBC, or an access point in standalone mode. The systems have also been designed to allow a single person to install and operate them, and the enclosures are rugged to withstand all kinds of weather. The company has been testing it using 2G connectivity within their office, and expect to release the first reference design this summer. 10km away from each other? RF pollution will be a nightmare. Wifi just miss a protocol, like torrent, if you upload for other you can download, same but for overuse common air RF area to share. Having a better bandwith priority when usage is low or a larger timeslot for good usage. They want to use those in remote areas where people don’t have cellular/Internet connectivity, so interferences should not really be an issue. Yep you are right but there is a need to manage better wifi, i think in software, not in fcc rules that can be flushed. Intelligent layer on wifi can improve a lot the RF polution barrier. The main issue is AP cannot talk with each other because there is encryption and there is noway to share timing slot as gsm node. I don’t like country without talk freedom, as i unlike fcc that is legalize and mind a talk nonfree.